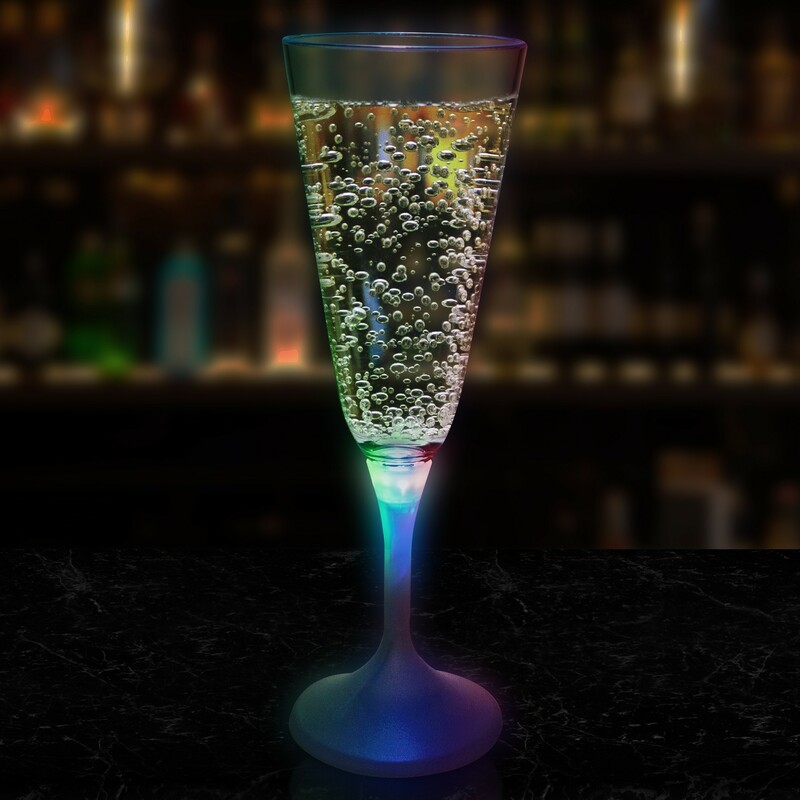 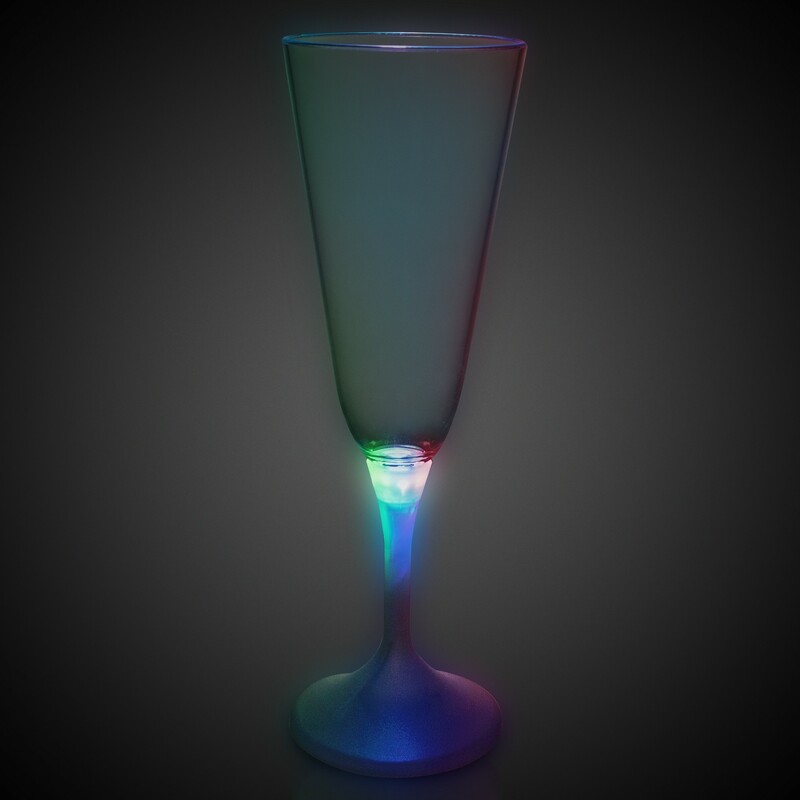 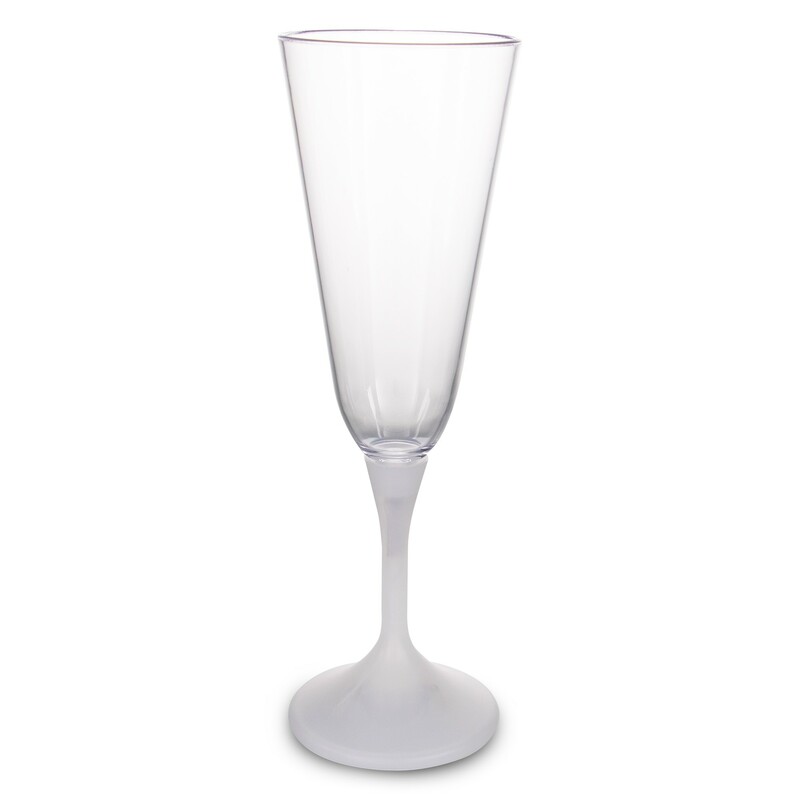 New style of Lighted Barware this Champagne Glass has the 3 High Powered L.E.D. 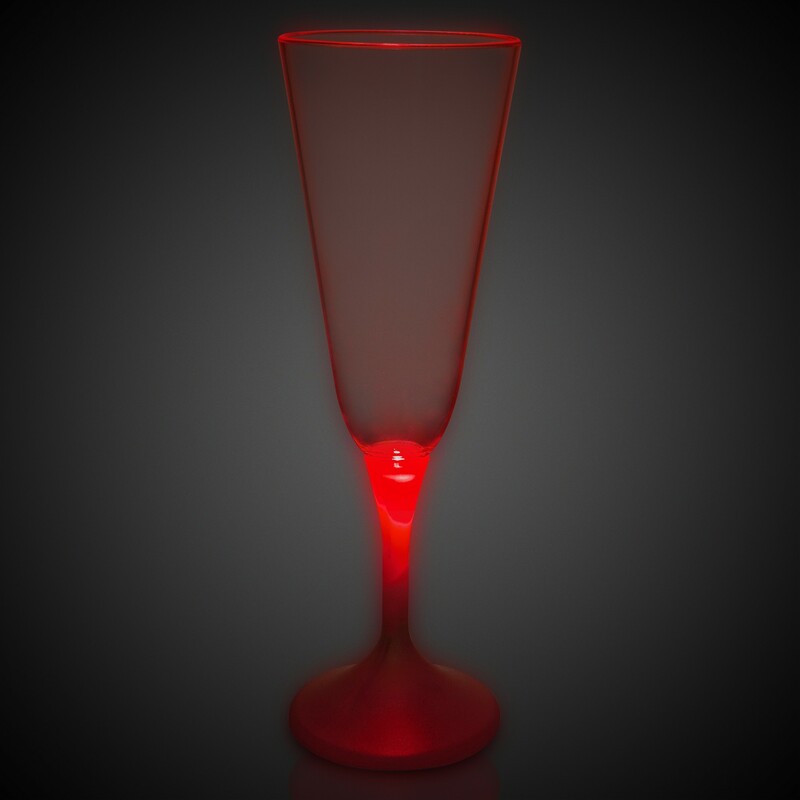 's mounted up in the stem to concentrate the illumination into the glass (where the imprint resides). 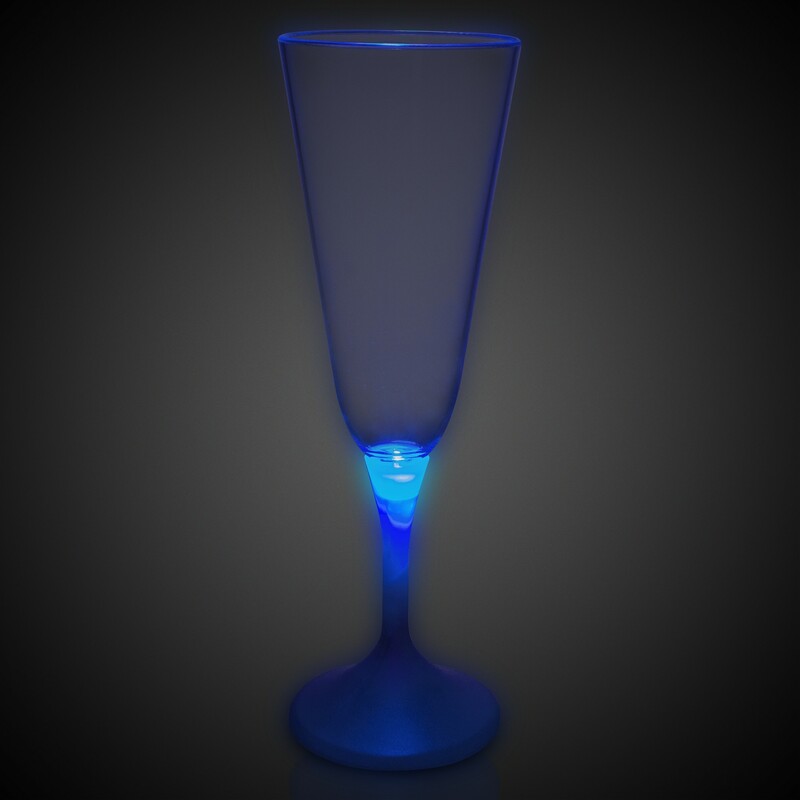 The white base and stem highlights the illumination effect. 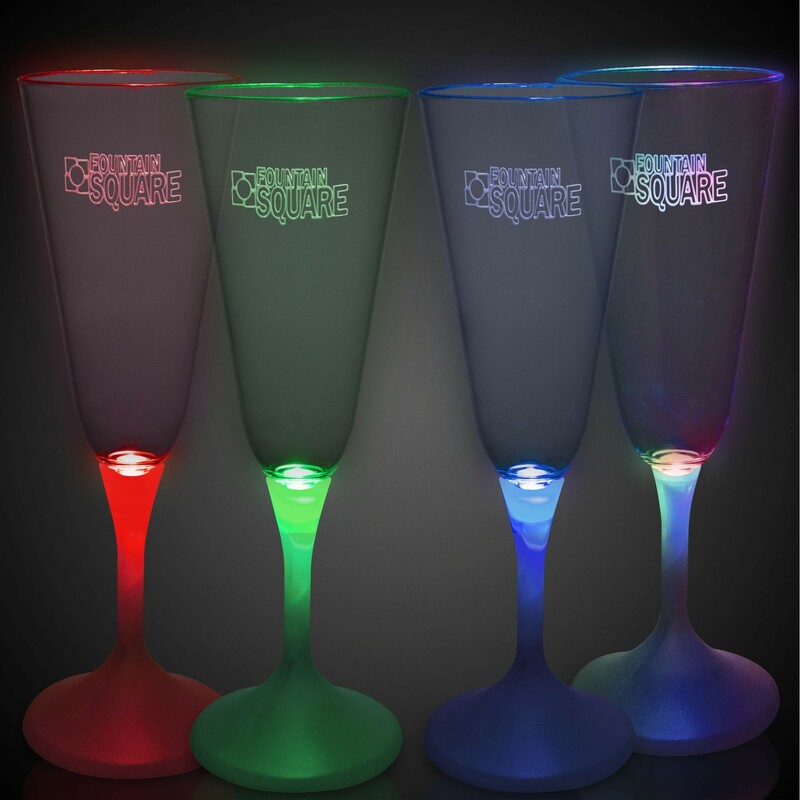 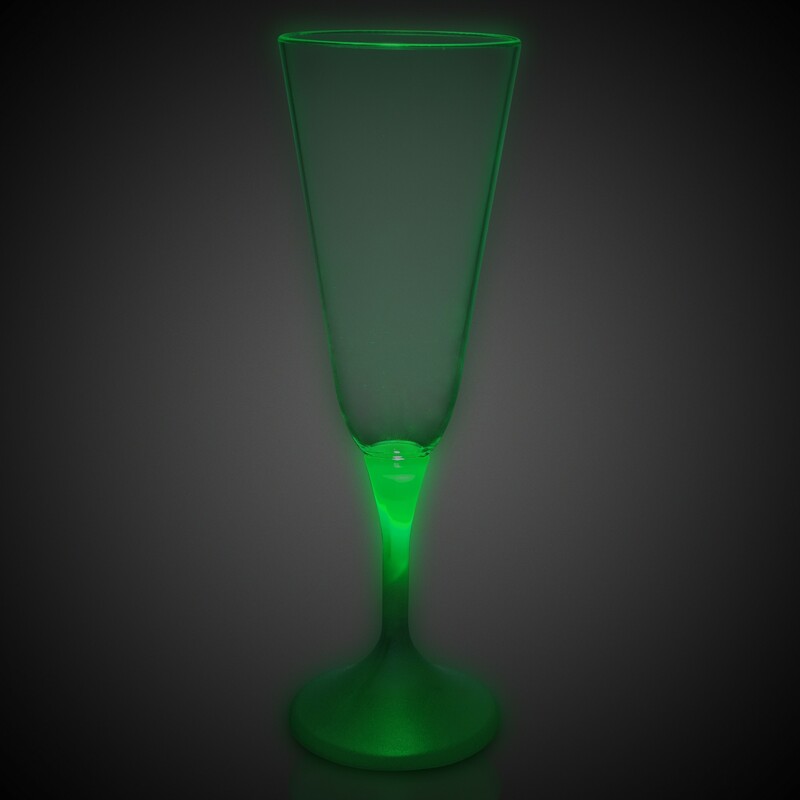 Each 7-function LED Champagne Glass holds 7 ounces and comes with 3 replaceable AG13 batteries included and installed.